As part of his deep commitment to Israeli society, Beny Steinmetz has been a long-standing supporter of the arts in his native country. Through the Agnes and Beny Steinmetz Foundation, he supports several organizations that promote cultural endeavors, the arts, and health initiatives. 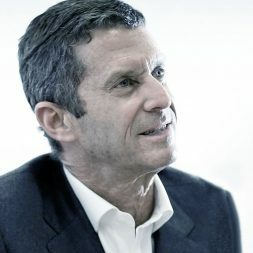 Beny Steinmetz is a member of the Board of Trustees at Tel Aviv Museum of Art. He has also received a Doctor Honoris Causa from the Museum, in acknowledgement of his significant contributions and support for the art industry in Israel. Over the years, Beny has been one of the major donors to the Tel Aviv Museum of Art. The Steinmetz Foundation has sponsored the construction of an entire wing at the museum’s newest building: the Agnes and Beny Steinmetz Wing for Architecture and Design. This facility includes two galleries, one of which is dedicated to the museum’s design displays, and the other to architecture. The Tel Aviv Museum of Art was originally opened in the house of the Mayor of Tel Aviv in 1932. In 1971, it was moved to its current premises on Tel Aviv’s Shaul Hamelekh Street. The museum is home to a large and diverse art collection that includes both classical and contemporary art. Several works by Israeli artists are displayed, and the major styles of the first half of the 20th century are well represented. The Museum’s site includes a sculpture garden, a youth wing, and the new building that houses the Steinmetz Wing, which opened in 2011.